SOME 47 people, presumably men, are in jail for failing to pay child maintenance, revealed acting Assistant Commissioner of Prisons Carlos Corraspe to a parliamentary committee on Friday. The Joint Select Committee on Finance and Legal Affairs, chaired by senior counsel Sophia Chote, interviewed law enforcement agencies on the topic of non-custodial sentences. Acting Commissioner of Prisons Gerard Wilson made the same point. He said when such a man is released from jail, he may then be re-arrested for newly-accrued periods of non-payment of maintenance, leading him to develop a certain level of hatred. 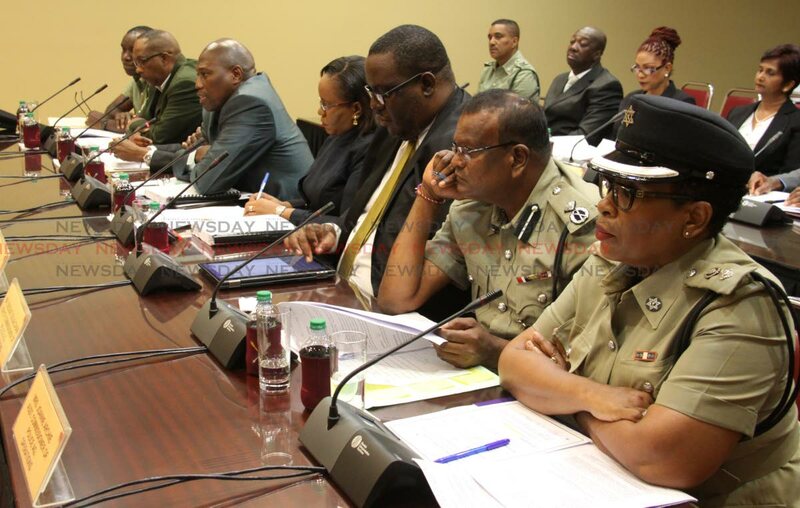 In reply to further concerns raised by Obika, the committee also heard that some 90 people are in jail for possession of marijuana, but no details were given as to whether this was simple possession or for trafficking, although the data related to sentences of five years or less. Obika asked if the authorities have any changing stance towards marijuana while decriminalisation of the herb remains under national debate. Director of Public Prosecutions Roger Gaspard basically replied no, saying his office will continue to be guided by its existing principles on whether to prosecute a case or not. These are respectively whether a case has a good chance to succeed and whether it is in the public interest to prosecute. He did say however that in some cases such as a child, his office would use a discretion to not prosecute. Otherwise, Chief Probation Officer Sintra Maharaj lamented the poor English skills of some probation officers, despite being required to have a university degree in order to be hired. Ministry of National Security permanent secretary Vel Lewis said his ministry has ordered 300 devices to enact electronic monitoring of convicted people as a non-custodial sentence. "We've already set up the office," he said. Reply to "47 deadbeat dads in jail"